When we are going on an extended camping trip in a row, I try to think of meals that are fast, easy and that all the boys will eat. The last thing I need is to have to cook for hours or worry about one kid not eating after a long day of hiking and playing. 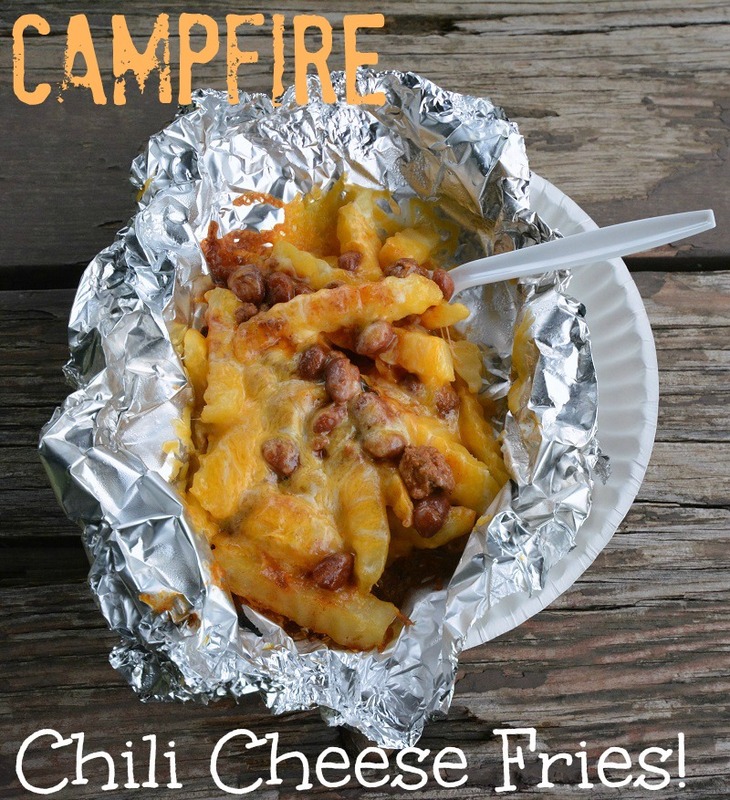 So, meals like these easy campfire chili cheese fries are a huge hit in our home. Step 1: Place a serving of fries into the center of a large rectangle of tin foil. Step 2: Drizzle some olive oil over the fries. Step 3: Open the can of chili and pour a little bit over the serving of fries on the tin foil rectangle. Step 4: Sprinkle some shredded cheese on top of the chili and fries. Step 5: Wrap up the foil packet by folding it over a few times at the top and securing the sides tightly closed. Leave a bit of room at the top of the packet so that the food can steam itself. Step 6: Place the foil packets on the grill or directly into the campfire for about 15 minutes. Pull one foil packet out and check to see if the fries are cooked through. If not, continue cooking for an additional 5-10 minutes until done. What is one of your favorite quick camping meals? I've never been camping before. This looks delicious! I've never been camping before, but this looks very yummy! Sure short hungry I am! I will prepare it this weekend for sure. Thanks for sharing it. YUM, and what a great idea and doesn't take much to whip up!! Brilliant! I'm definitely going to keep this handy. It's in my skill set! lol! What a great idea. I would have never thought to do this! Wow, these look so good! Is it ok if the fries have defrosted before making these. No way to keep them frozen.